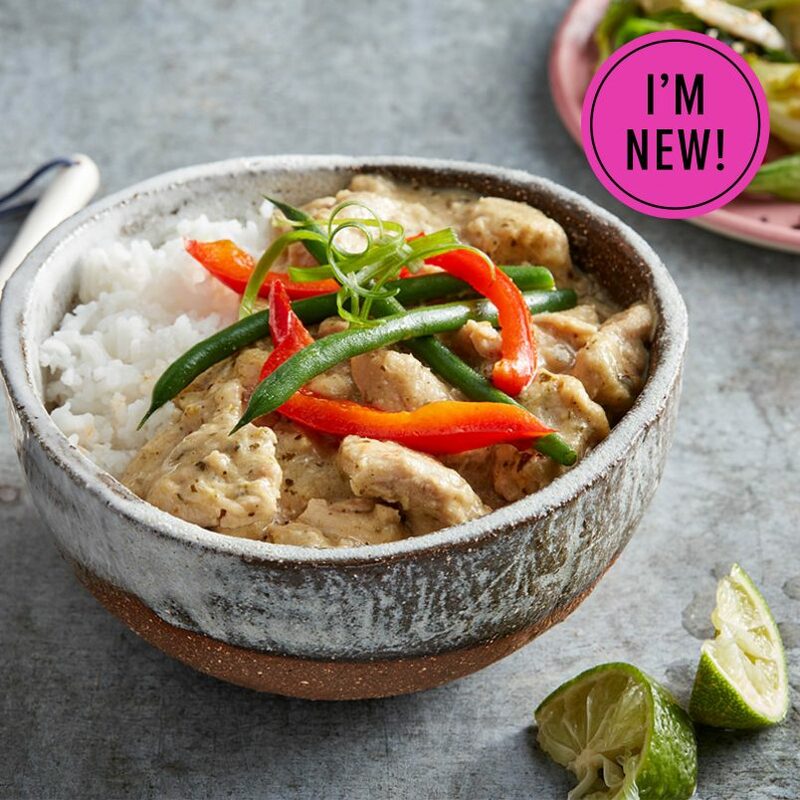 Succulent chicken cooked in coconut milk, lemongrass, kaffir and lime (to name just a few flavours) take this dish to the next level… enjoy! Best oven cooked from frozen. 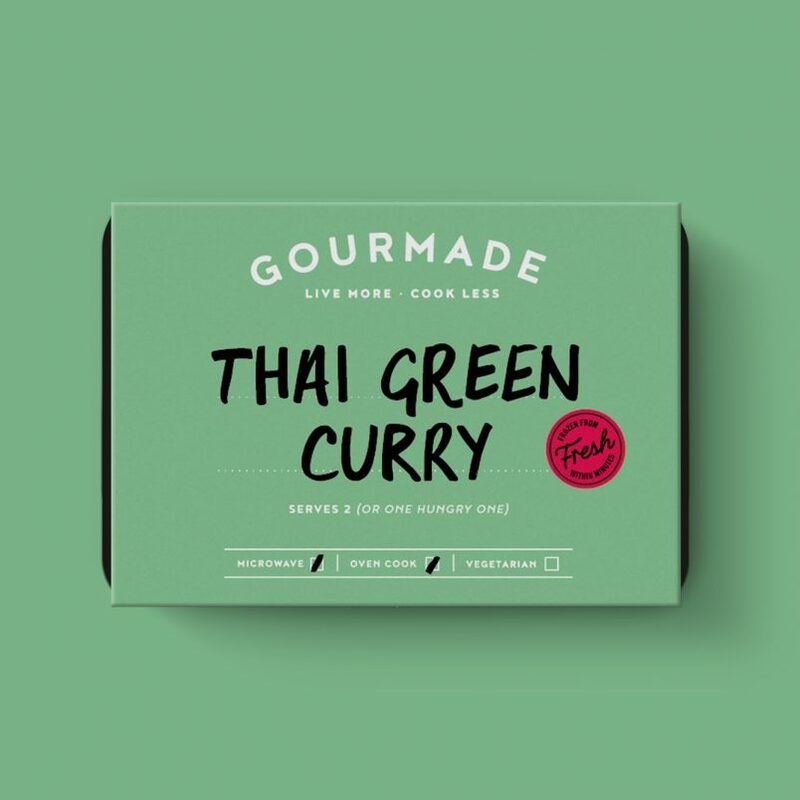 Chicken Thigh (31%), Water, Coconut Milk [Coconut, Water], Red Peppers, Green Beans, Onions, Desiccated Coconut, Ginger Puree, Demerara Sugar, Green Curry Paste [Green Chilli, Onion, Garlic, Lemon Grass, Salt, Galangal, Kaffir Lime Leaves, Spices, Acidity Regulator (Citric Acid)], Garlic Puree, Lime Juice, Milled Lemon Grass, Milled Lime Leaf, Fish Sauce [Water, Anchovy FishExtract, Salt, Sugar], Corn Flour, Chicken Stock [Chicken, Yeast Extract, Salt, Chicken Fat, Dried Vegetables (Leek, Onion), Sugar, Lemon Juice From Concentrate, Black Pepper, Sage Oil], Sugar, Blended Sesame Oil [Soyabean Oil, Sesame Oil], Ground Coriander, Chopped Coriander, Ground Cumin, Basil, Salt, Milled Red Chillies. Chicken Thigh (31%), Water, Coconut Milk [Coconut, Water], Green Beans, Red Peppers, Onions, Desiccated Coconut, Ginger Puree, Demerara Sugar, Green Curry Paste [Green Chilli, Onion, Garlic, Lemon Grass, Salt, Galangal, Kaffir Lime Leaves, Spices, Acidity Regulator (Citric Acid)], Garlic Puree, Lime Juice, Milled Lemon Grass, Milled Lime Leaf, Fish Sauce [Water, Anchovy FishExtract, Salt, Sugar], Corn Flour, Chicken Stock [Chicken, Yeast Extract, Salt, Chicken Fat, Dried Vegetables (Leek, Onion), Sugar, Lemon Juice From Concentrate, Black Pepper, Sage Oil], Sugar, Ground Coriander, Blended Sesame Oil [Soyabean Oil, Sesame Oil], Chopped Coriander, Ground Cumin, Basil, Salt, Milled Red Chillies.